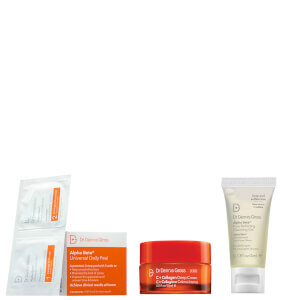 Recover firmness and help smooth wrinkles caused by aging and the environment. This potent anti-aging serum delivers a time-released dose of Retinol overnight to support skin’s natural repair process. 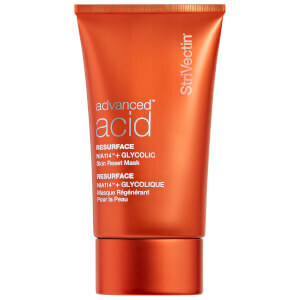 A synergistic combination of Retinol + Ferulic Acid and skin perfecting Niacinamide retextures skin for a more flawless complexion. 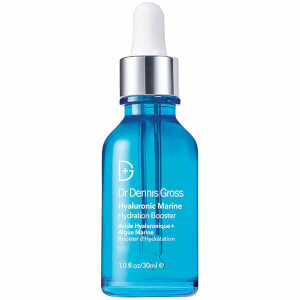 This overnight serum that features a super molecule trifecta of Retinol, Ferulic Acid, and Niacinamide to fight wrinkles, firm skin, and reduce imperfections. 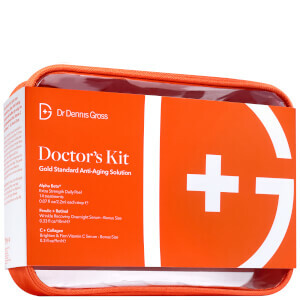 The encapsulated, time-released dose of Retinol steadily builds collagen to re-densify skin with continued use. Nightly, massage 2-3 pumps into clean, dry skin. 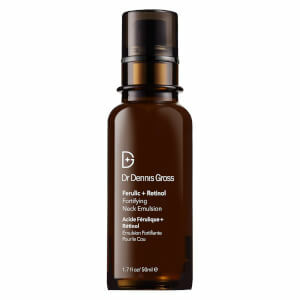 Follow with any moisturizer of your choice from Dr. Dennis Gross Skincare. Use sunscreen during the day. Water/Aqua/Eau, DiCaprylyl Carbonate, Niacinamide, Cetyl Alcohol, Propanediol, Isostearyl Alcohol, Jojoba Esters, Retinol, Ferulic Acid, Collagen Amino Acids, Sodium Hyaluronate, Hexylresorcinol, Ellagic Acid, Gallic Acid, Silybum Marianum Ethyl Ester, Tocopherol, Phospholipids, Camellia Sinensis Leaf Extract, Linoleic Acid, Linolenic Acid, Mandelic Acid, Lactic Acid, Sodium PCA, Retinyl Palmitate/Carrot Polypeptide, Retinyl Palmitate, Glycerin, Evodia Rutaecarpa Fruit Extract, Helianthus Annuus (Sunflower) Seed Wax, Acacia Decurrens Flower Wax, Glycine Soja (Soybean) Oil, Caprylic/Capric Triglyceride, Polyglycerin-3, Tricaprylin, Acrylates/Carbamate Copolymer, Butylene Glycol, BHT, Butylene Glycol Cocoate, Acrylates/C10-30 Alkyl Acrylate Crosspolymer, Polymethyl Methacrylate, Xanthan Gum, Ethylcellulose, Disodium EDTA, Sodium Hydroxide, Citrus Aurantium Bergamia (Bergamot) Fruit Extract, Citrus Limon (Lemon) Peel Extract, Lavandula Angustifolia (Lavender) Flower/Leaf/Stem Extract, Octoxynol-9, Phenoxyethanol.